Sometimes cliches are the only way to communicate the sheer breadth and depth of the transformation now undergoing in the informal sectors, such as trade and light manufacturing, thanks to affordable smartphones and data bundles. I began calling it digital and not online yesterday when we discovered many people didn’t recognize the word “online” in a question, and thought of it as their smartphone or an app. The next billion online, with their prepaid airtime on low cost devices, have recognized the market potential of the “internet” in the form of Facebook but do not yet recognize the concept of either “online” or the internet. It was commonly perceived as things you could do with a smartphone that you couldn’t with a feature phone. MPesa, with its robust USSD system, could be used with a 15 year old phone, and thus, like sending a text, or making a phone, has become a basic feature of their mobile phone. Kenyans have leapfrogged more than just landline infrastructure in their embrace of mobile telephony. They also leapfrogged conceptual understanding of the internet, websites, HTML, and pages, that those of us who began with desktop or laptop computers had visualized conceptually as a model for our own need to understand the system. We’re seeing wholly new ways of thinking about apps, tools, and services in the “digital world” – which, I find, is the easiest way to describe the span of technologies that most developing countries must straddle – from 2G to 4G and 5G, African countries can’t afford to turn off 2G like Singapore can. Too many people are still using old Nokias, and I was able to purchase an unboxed 2009 model Nokia for $25 in Nairobi’s Central Business District last week. The future will remain unevenly distributed in the digitization of the informal economies of developing countries, but this is giving rise to interesting developments. 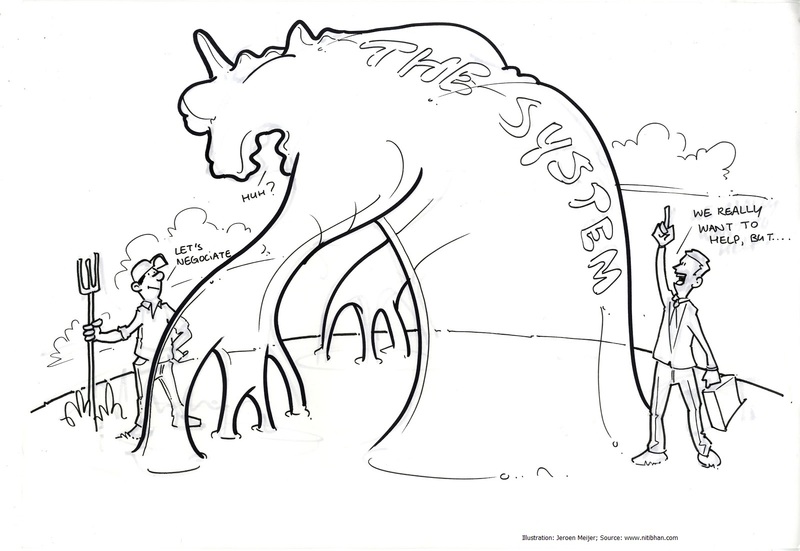 Where the system is technologically “backward” as compared to the linear progression in the developed world, it will not have a development path to follow but will and does go off in its own direction of transformation. What we are seeing here in Kenya is a hybrid digital economy that can be accessed by both featurephones and smartphones, the only caveat being the tradeoff made on the richness of information streams available for each category of device. This to me also feels like what the mobile internet experience will be like for another decade in Kenya, and a local approximation of societal and demographic change for any other developing country context. What will not change is the vast majority data management habits – 97% of Kenyan mobile subscribers are on prepaid airtime plans, although there does seem to be a segment of customers who are beginning to see the advantages of postpaid services. I met one of Kenya’s 3% – a Safaricom Platinum customer. In Africa’s teeming business districts and electronics mega markets, the concept of grey market products underwent an evolution over the past two decades as it reflected the development and eventual maturity of the mobile phone market. Always, however, price arbitrage drove the parallel industry. In the beginning, grey market products were those that met the conventional definition I’ve shared above from Investopedia. 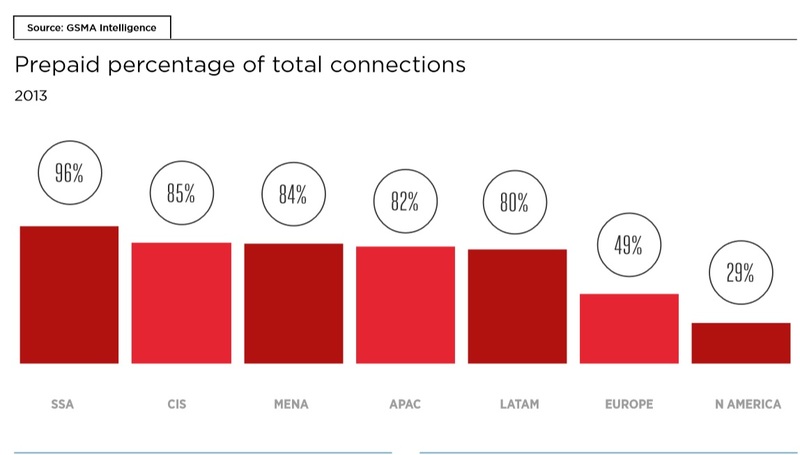 Because the majority of the African continent – barring North Africa and South Africa which were considered more investment worthy – was initially overlooked as a target audience for the world’s branded mobile phone manufacturers, African traders and merchants would source products from the Gulf – Dubai being a key hub for re-exports in consumer electronics – or ‘fairly used’ phones from the then more advanced European countries. Thus, by the time Samsung’s Mobile division woke up to the opportunity in sub Saharan Africa about a decade after the first introductions of cellular telephony, they discovered Samsung devices being sold openly in markets they had not officially entered as yet. The challenge for them, back then, was that these handsets tended to be European models, and not really engineered to hold up under more adverse African conditions. Not only was the grey channel capturing marketshare that should have been theirs but potentially negatively impacting their brand as more fragile than the notoriously durable Nokias which were popular ‘fairly used’ models for that very reason. The secondhand and refurbished phone market provided the necessary affordability for far more people than just the rich or upper middle class who could afford the phones and models then being sold in sub Saharan Africa. It was only the completely unexpected great surge of growth around 2002-4 that spotlighted clearly the latent and untapped mass market opportunity for low cost mobile devices, and the trend began to develop a phone “for Africa”. Motorola won the the GSM Association’s first grant for low cost phones, priced at around $30, in 2005, but was ironically never to achieve the exponential sales and success of Nokia. By 2009, the grey market came to mean counterfeit as cheap Chinese phones flooded the market thanks to informal traders flying to and fro from Hong Kong with suitcases stuffed with handsets. Back then, coherent brands had not yet emerged from China’s factories, and I owned a dual sim NKIAC with lots of bells and whistles as a souvenir. They were known to have their problems but offered a trade off for the aspirational owner to be – an affordable entry point online, until an established brand could be purchased. Around 2011, however, the Chinese OEMs had woken up to the African market’s sustained double digit growth in both device sales, as well as new subscribers of mobile services. And, jumped on the Android bandwagon, sensing a boom on the horizon as big brands dithered. This was the turning point that was to change everything about the mobile telephony ecosystem in sub Saharan Africa – Nokia’s fade out, the rise and subsequent dominance of Transsion Holdings with low cost yet branded smartphones, paving the way for the smartphone and app economy maturing rapidly across the entire continent today. In a way, it was also the end of the gray market in terms of fakes and counterfeits, as connectivity and social media demands required functioning operating systems and apps. In another, the original grey market, as defined, came back to it’s role in providing affordability to the aspirational and ambitious, and in Nigeria, is credited with bringing about the smartphone revolution, just as it boosted the original mobile telephony transformation of the previous decade. 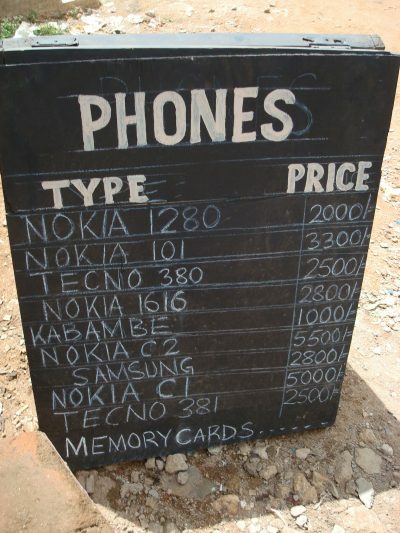 The Mobile Phone is a Business Tool and Income Generator – Regardless of the region (and cultural context) of study – Cameroon or Cote D’Ivoire, Kenya or Botswana or Tanzania; and, regardless of whether the research methodology was quantitative or qualitative, respondents across the board considered their mobile phones as a critical capital expense for running their business, important for boosting efficiency, productivity, and incomes. In these studies focusing on the informal economy, respondents were micro and small enterprises, most often owned and operated by a single individual. Mobile phones and cellular services opened entirely new avenues of employment, particularly for youth – More visible in the earlier years of Africa’s mobile revolution, but still important enough today, are the new avenues that the ecosystem and infrastructure opened up for young people. A slew of supporting services such as airtime sales, voucher sales, mobile money agencies, phone sales, download services, call booths, et al each had their day in the sun as a promising new way to tap into the double digit growth sustained by African mobile markets in the past two decades. Most notably, mobile phone repair shops stand out as a whole new career path enabled by cutting edge technology. And, some of the best known hardware and software hackers went on to bigger things. Mobile money agents preferred to banks – Studies on this theme – if they were conducted where mobile money had reached critical mass – noted that mobile money agents were often considered as “one of us” by informal sector businesspeople as compared to forbidding requirements and investment in time required by banks. Mobile money agents were located conveniently in the same markets, often in neighbourhood shops, were open for longer and more convenient hours, and even on weekends. They were definitely more flexible and accommodating of the needs of informal sector commercial activity, and often a critical part of the business person’s network than any bank. These three things caught my attention as showing up over and over again the literature, regardless of whether it was a PhD dissertation, an academic’s paper, or an MBA student’s thesis. Let’s call it the prepaid economy, I told Michael in our regular weekly call the other day. We were exploring the emergence of commercial activity on digital platforms in Kenya, and debating whether it could still be considered as an element of the existing informal economic ecosystem, or, was it something wholly novel and different? What is emerging is not simply the digital version of the existing informal economy, its a novel hybrid that deserves consideration in its own right. Yet, calling it simply the digital or the app economy would conflate it together with the developed world’s version, overlooking the unique characteristics that distinguish it as very African. For one, the vast majority of African mobile phone users were on prepaid or pay as you go plans, regardless of their income level. That is, when more than 95% of Kenyans are prepaid mobile subscribers, their digital behaviours, internet browsing, and media consumption habits are naturally going to be shaped by their preferred approach to managing costs, and, in turn, this dominant business model would influence the payment plans and business models of digital services delivered over the mobile platform. 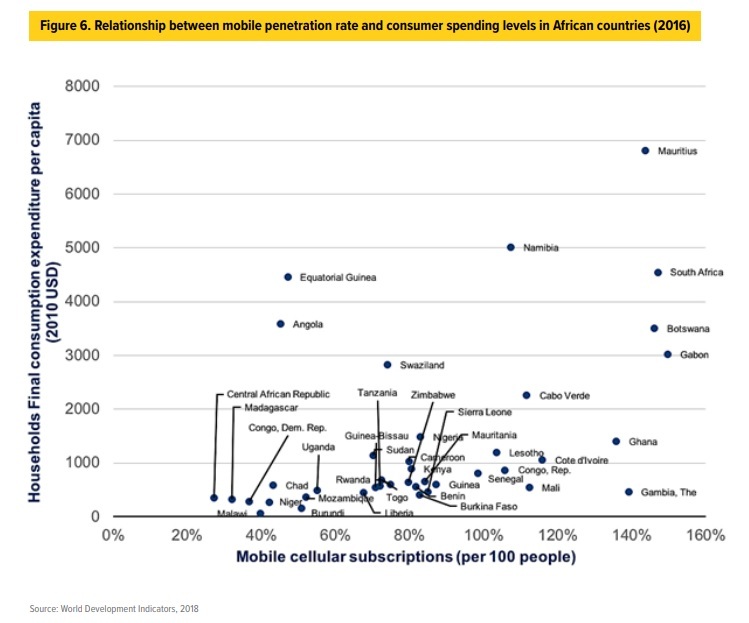 And two, the African digital economy is not only mobile first, but mobile only for the most part. And, in 2019, we are talking about an operating environment that embraced mobile telephony wholeheartedly for more than a decade and a half; transforming social and commercial behaviours in both rural and urban contexts in big ways, and small, so much so that the disruption of how things work, and are made to happen has occurred, going almost unnoticed since it was not an overnight change as disruptions are assumed to be. The past 15 years have nevertheless seen Kenya (and much of sub Saharan Africa) transform in response to the information and communications technology now ubiquitously and affordably in every pocket. Everybody has heard of mPesa, and everybody wants to launch their latest app or solution in Kenya. This digital economic ecosystem bridges the formal, or “modern” economy, as the Kenyan statisticians measure it, and the informal sectors that dominate the commercial and employment opportunities. It is not unrecorded or invisible, like the traditional informal economy – in fact, Kenya is the leading destination for a plethora of instant mobile credit and loans companies all the way from Silicon Valley, able to assess your creditworthiness with the number crunching power of their technology. Yet it still operates outside of much of the institutional boundaries of the formal sector, empowering people to make their own decisions and relationships with services and solutions provided on demand, in a decentralized manner. 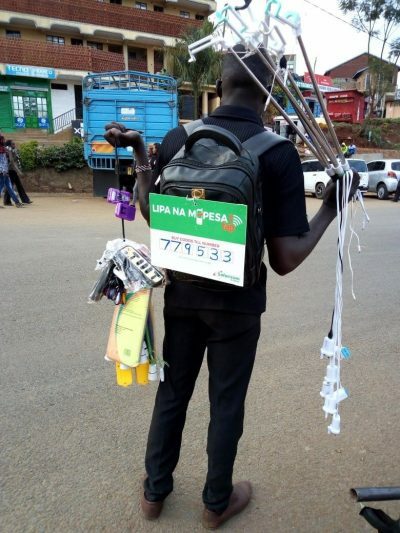 Look at the itinerant street vendor in the photograph Michael took in Nairobi with a mPesa merchant till number hanging on his back. Even as an individual, the gentleman concerned needs to show one week of daily receipts as part of his application – this implies record keeping. Which in turn, blurs the boundaries of our conventional thinking of the ad hoc nature of “informal” business. Here, I will just say that word informal is the problem since in English it implies a lack of organization or structure. Back to our hawker of goods with his mobile money till number hanging on his back, offering digital (recorded) transactions as any merchant would. He explodes our assumptions of hawkers as marginalized and vulnerable economic actors with low skills and education. He exemplifies the changes that have transformed the Kenyan commercial environment, and, the emergent digital economy on the mobile platform. He bridges the informality expected of a wandering street vendor with the documentation and record keeping of the cashless transaction completed on your smartphone. The prepaid business model bridged this gap between the structures and documentation of the formal or modern economy and the necessary flexibility and negotiability of the informal’s unpredictable and often unknown, income streams by putting control over time and money in the hands of the customer rather than the service provider. This empowers people to manage the volatility and uncertainty we deem inherent in the context of developing countries with variability in service delivery systems and inadequate or missing infrastructure. Therefore, it seems, that as a working label, to distinguish the informal economy from the digital one, we’re going with the oft used label of “prepaid economy” as it includes people with formal sector wage employment as well as implies the mobile platform and the digital record keeping for the informal sector’s hawkers or traders. It’s a whole new space to play in. Today, I was faced with the challenge of having to choose between two conflicting quotes attributed to the same spokesperson, during the same press conference. Attempting to uncover an authoritative source for the content in order to discern which of the two was authentic led me down a rabbit hole of fake news sites allegedly from Kenya. The exercise led me to write up my experience, and share my thoughts on navigating the minefield of fake news articles and entire websites, now that the issue has taken over African content as well. The subject matter concerned China’s alleged takeover of Kenya’s Mombasa Port in case of default on the infrastructure loans for the Standard Gauge Railway (SGR). This has been making the headlines, together with Zambia’s purported problem with seized infrastructure. Matters came to a head today as yet another report – this time by the reasonably credible ZeroHedge – repeated the same messaging without digging further to check whether any of the anti-China allegations were, in fact, true. At the same time, the daily news curation was churning up reports of a Chinese government spokesperson refuting the allegations that China was poised to take over the Port of Mombasa. So I went digging for more on the topic and churned up a news website that named the very same spokesperson as stating something outrageously unbelievable. Note: All the sites linked below on How to spot fake from true have been vetted by me by reading through their advice, and their credentials. Someone has to watch the watchers! 1. Is the article so outrageous that it makes you blind with anger? If so, it is very likely fake. Sure looks like a credible source to me, no? Once I was able to identify the fake news website, I went looking for more authoritative sources to establish the credibility of the Chinese refutations, in case they, too, turned out to be faked. An Embassy of China page offered the first data point that the refutations were indeed official, and later, on Twitter, Anzetse Were, linked directly to the Chinese Ministry of Foreign Affairs website, doubly ensuring that the refutations to the allegations of China’s take over were official and authentic. Therefore, we can now state with confidence that China is NOT taking over the Port of Mombasa in case of default on the SGR loan*. And, we discover that the other African story used to support this one, that of Zambia’s ZESCO being taken over by China for default in loan payments is ALSO false, having been refuted by the Zambian government, and reported by a reasonably credible news source, in this case, Reuters. This goes to show that the fake news problem in Africa has gone beyond electioneering, and social media, and invaded mainstream news media via search engines such as Google News. It thus behooves us to be doubly careful in ensuring that outrageous actions allegedly conducted by one global power or another are carefully verified and vetted before repeating them mindlessly like ZeroHedge had done. I am working on making up a list of the most common African news sites that show up in the popular news engines, like Google, to be wary of, or they are outright fakes. 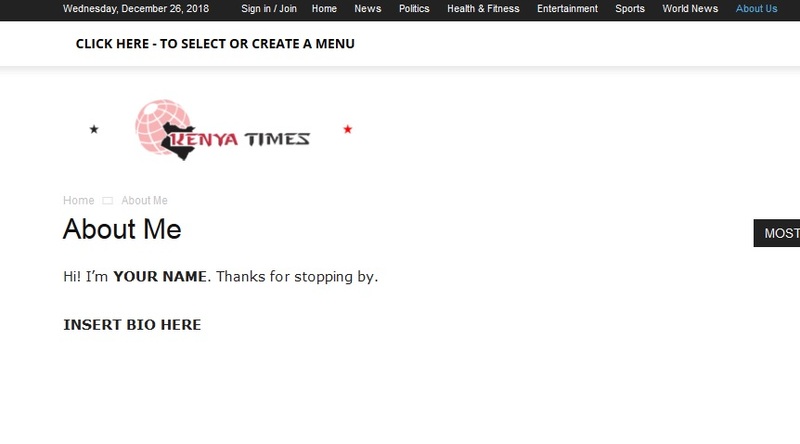 * The Kenya Times was a genuine newspaper that closed in 2010. That makes this site doubly suspicious. Earlier this week, I had the opportunity to share my research on the past decade of mobile ecosystem development across the African continent with Dr. Antti Saarnio, founder of Zippie; co-founder of Jolla (developers of the Sailfish OS, among other things). “We want to test our product first and foremost in Africa because there is an extensive and established informal economy,” he said. That captured my attention immediately, since few think of the Africa’s vast “informal” commercial operating environment as a strength to be leveraged for competitive advantage, preferring to hope against hope that it will disappear into thin air to be replaced by the more familiar structures of the formal and organized sectors. And, it got me thinking about the African fintech space, and the lessons it may hold for the rapidly proliferating gig economy in the ‘developed’ world. And, since at this point of time, all I know of Zippie, Dr. Saarnio’s latest venture, is that it’s a blockchain based mobile OS – not the kind of thing that you’d expect to be piloting in Africa – I asked him to elaborate on his thinking a little further. Easy, he said. Not only does the informal economy dominate, with established norms and coping mechanisms, but its a mobile first and mobile only environment where people are already comfortable with the exchange of value in digital form, be it airtime or currency. People are already incentivized to think about boosting their productivity through newfangled digital tools on their smartphones. More often than not, the younger urban population is educated and tech-savvy, and in places like Kenya, ready to try something new. I couldn’t argue with his assessment. In fact, I’d take it a step further, based on my own decade’s worth of research into the informal sector’s financial behaviour and cash flow management practices. The developed world economy is beginning to show signs of convergence, in pattern and in the types of challenges faced when attempting to manage in highly uncertain situations, on irregular and unpredictable income streams, often with the very same elements of seasonality – time of abundance and scarcity – as seen in rural Phillipines or India or Malawi. For instance, Finnish farmers are being driven to use high interest payday loans to tide over the lean times because few other coping mechanisms exist in Finland’s highly formal commercial operating environment. Wedded to the land, they face the same challenges as a farmer in India, Kenya, or The Philippines. Yet no microfinance institutions catering to farmer needs would dream of showing up in rural Finland. Similarly, in the UK, lower income workers, dependant heavily on gig economy apps to generate revenue, can face significant differences in their cash flows from month to month, but again have no recourse but to use their credit cards or high interest payday loans to tide them over. The systems in their operating environment are designed for the past generations’ periodic and regular wages and paychecks, and cannot cope with the irregular cash flow patterns, as prevalent in the informal economy. That is, the characteristics of the gig economy and the informal economy, when seen from the perspective of the end-user, are more or less the same. Ironically, however, those in the developing world have numerous solutions available to them – albeit informal, social, local – available to them to cope with shocks and volatility. These coping mechanisms have developed over decades (and centuries, in the case of India), hence the well known resilience of the local rural or informal economy. As uncertainty increases globally, there are numerous lessons to be learnt from the mostly ignored informal economies of the developing countries which have provided incomes and employment for the vast majority of their populations, in times of conflict or peace, making sure that food reaches the urban table from the farms out in the countryside, regardless of the adequacy and availability of either systems or infrastructure. This is one situation where the formal economy’s inbuilt rigidity and dependence on predictability and periodicity are its embedded weak spot at a time when flexibility and negotiability are required to ride the shocks and volatility. Top flight management consulting firms like McKinsey, BCG, Deloitte, PwC et al have been taking a good long look at the emergent African Consumer Market for a number of years now. McKinsey, in fact, has just released a book on the theme, authored by their leading Africa experts. All of them acknowledge the existence of the informal sector in retail and wholesale trade and distribution, recognizing the competitive advantages and disadvantages for modern retail and consumer product companies seeking growth in African markets. They know their clientele must operate in the formal sector, and target the wealthier segments of the populace, and this is what they focus on. Brookings Institution, however, has now caught up with their version of such a report – drawing heavily on consumer data from all the previous management consulting firm reports mentioned above – and this has inadvertently brought to light a major blindspot in the assumptions being made on the African consumer market opportunity. Unlike the management consulting firms who position their reports for the private sector, Brookings is necessarily forced to consider policy implications of their publication by virtue of their institutional nature. Therefore, you have a report on the African Consumer Market opportunity that includes sections that attempt to justify the rise of consumerism as a signal of industrial development, through citations based on development indicators from the formal economy in sectors such as agriculture and manufacturing, thus necessitating optimistic expectations of the decline of the informal sector. This theory of market evolution predicated on the decline of the informal as a signal of economic development, has, in fact, been debunked by numerous learned scholars in the field of development economics, such as Martha Alter Chen, and Ravi Kanbur. 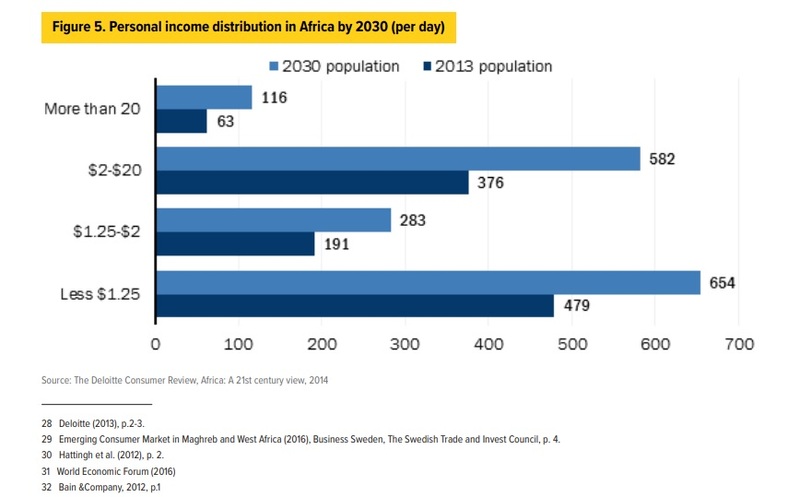 By taking this route, the Brookings’ report is grounded in the assumption that the informal economy is a separate animal all together and one which will vanish into thin air with the ‘rise of Africa’ and her growing middle and upper classes with the discretionary incomes that make them so attractive to global brands. This framing reveals their blindspot. Ghanaian scholar Bright Stevens, and the OECD, both have described the emergent middle classes expected to make up the bulk of the African consumer market as those whose roots are firmly established in the informal economy, and that this emerging middle class is unlike the conventional descriptions of middle class as seen in the developed world. That is, the emerging consumer classes of the African continent are more likely to earn their discretionary income from various activities that fall within the informal economy than from more traditional white collar employment or civil service. This can be easily discerned from the available data on the proportion of the working age population dependent on the informal economy, and the size of that informal economy, in each of the major consumer markets highlighted. Take Nigeria for example, Africa’s largest economy and most populous nation. Estimates from the IMF put the informal sector’s contribution to the national GDP as high as 60%, providing employment for as many as 85% of the working population. More than 90% of retail (and related services) is provided by the informal sector. This will not be transforming any time soon into modern retail, even given the penetration of ICTs as projected by the Brookings report. The African consumer market is not growing in isolation from the informal economy, nor are the impacts of digital commerce only influencing changes in consumer behaviour. A vast majority of these emerging consumer classes are directly involved in the informal sector, and any changes in their spending patterns and behaviour are bound to have corollaries in their commercial activities and business operations. The two are not two separate entities. In fact, ICT penetration is changing the informal economy, particularly retail and wholesale trade. B2C sales and marketing facilitated by digital platforms are a contemporary reality, visible if you know where to look online. WhatsApp, Facebook, Twitter, and Instagram offer scale and reach to enterprising entrepreneurs looking for new customers, and the proliferation of on demand apps for services such as car hailing are promoting wholly new business models for transportation and distribution. This is the current reality evidenced by any number of new startups announcing their arrival in the tech press in Nigeria, Kenya, Ghana, South Africa, and more. What is not transforming as rapidly are the policies and regulations concerning formalization, and those barriers and costs still hold sway. Trade and services are still likely to remain within the informal sector even if their productivity and efficiency are being improved almost daily by the adoption of new and improved communication technologies. Viable pathways for their integration into the formal economy are few and far between. And, their progress and development is hampered by obsolete models and worldviews, as though they’re stuck in stasis. It is this blindspot that makes the Brookings report at odds with the current landscape of the African operating environment for consumer oriented companies and global brands, particularly in the most promising markets highlighted such as Nigeria or Kenya, or even Angola. The African consumer market cannot be considered in isolation, as though it’s on its own trajectory of evolution and development, separate and apart from the informal economy. Nor can one segment decline without having impact on the other. Their linkages and interdependencies are far too closely intertwined for that to happen. The rise of the African consumer class will remain linked to the health of the resilient and persistent informal economy for some time to come. 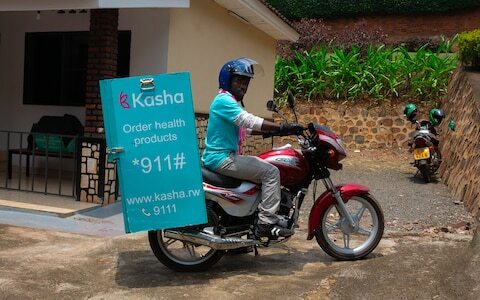 When women in rural Rwanda can buy sanitary napkins and contraceptives, on demand, simply by pushing a few buttons on their phones, you know the digital informal economy is here to stay. And, its not just imported apps and social enterprises pushing this digital commercial activity. The “uberization” of the African informal economy is well underway across the entire continent, inspired in part by the visible success of the now ubiquitous ride hailing apps. The concept of using your phone to access a product or service, on demand, has taken root as a viable and feasible business model for startups from Angola to Ghana to Nigeria, and Rwanda, of course. 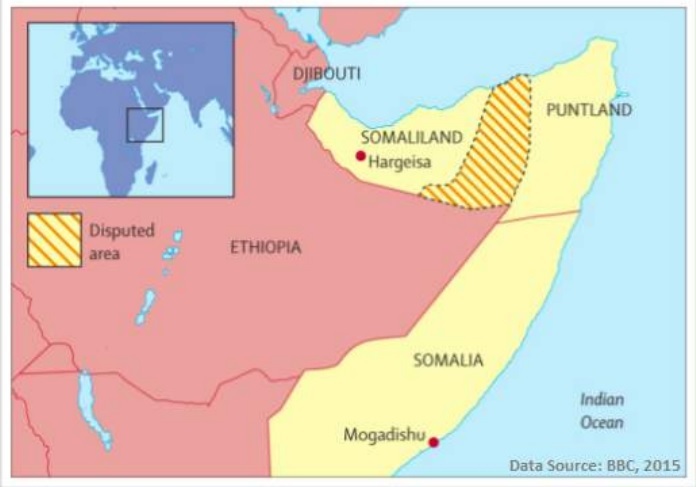 And, its spreading beyond the usual suspects to yet-to-be recognized nations like Somaliland as well as it’s far less stable neighbour, Somalia. The impact of this will be felt long after Uber itself has lived or died, as the case may be. For the vast majority of the workforce in the informal sector, this approach to business development increases their reach and customer base, with net positive impact on their income streams and cash flows. You don’t have to sit and wait passively for a customer to show up if she or he can ping you for an order on your phone. Your discoverability has been exponentially boosted by technology. Transportation – of people, of vegetables, of cargo – you name it, you can now find an app to transport it. Startups are responding to the wide variety of local needs in addition to launching Uber clones in their local metros and regions. Services – grocery shopping, laundry, housecleaning, plumbers, electricians, artisans et al – all of these are coming online, albeit unevenly across segments and geographies depending on the individual startups and their capabilities. Goods – From consumer products to fresh produce, live goats to tractors for rent; the low costs and barriers to entry of an app that collates and coordinates demand and supply is an easy win for entrepreneurs who can work out the kinks in their operations. In addition to what the apps can deliver to your doorstep, this “uberization” of the informal economy is also transforming mindsets and behaviour, of both the buyer and the supplier. There are two approaches to leveraging technology to boost your business – doing it yourself via social media platforms, thus building your brand; and downloading an app that takes care of promotion and discoverability for you. Each has its pros and cons, but from our earliest discoveries whilst conducting user research among social commerce merchants and customers in Kenya, we can see the differences emerge between traditional traders in the informal marketplace, and the tech savvy traders straddling the virtual and the real. Long established business development strategies that worked in the cash intensive informal economic ecosystem are being forced to transform in response to these tech enabled ‘interventions’- whether to the benefit of all is also too early to tell. 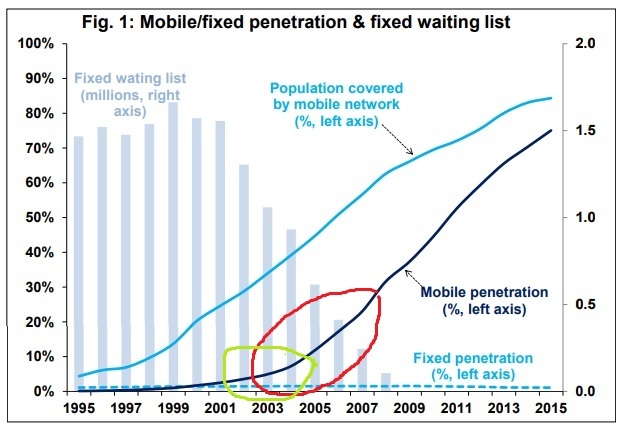 But if the patterns of mobile phone adoption are any indication, there’s a tsunami of change underway. For the past 15 years, Africa watchers have been waiting for her mobile phone industry to reach a critical landmark – almost full saturation of the market. This milestone may be close at hand, as recent news and data show. 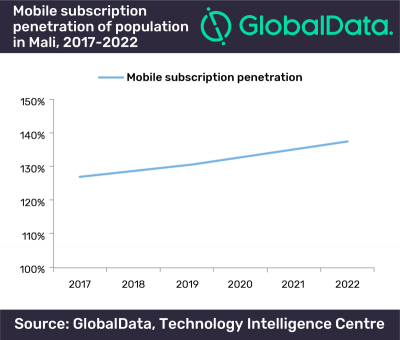 In June 2018, Kenyan mobile subscriptions reached 98% penetration, a 13% jump over the previous year, the highest ever recorded, even with all the caveats of youthful demographics and many users owning more than one line. And, it isn’t just Kenya, long known to be early adopters of innovation and technology. The African mobile market, as a whole, maybe reaching saturation point as the latest IDC data shows. Phone sales continue to show signs of decline. Unlike previous slowdowns of smartphone sales1 which were economy related and feature phones continued selling, this time the decline can be seen in both categories, implying the great African mobile subscriptions growth boom may now be over. Even Nigeria, recently found to have more people living below the poverty line than India, has achieved more than 80% mobile phone penetration, with hopes that the end of 2018 will see 100%. Healthier West African economies such as Ghana and Ivory Coast have already crossed the magic 100% threshold, as has conflict riven Mali. Achieving this landmark has not been consistent across the continent, and some countries like Malawi and Chad are still below the halfway mark. However, it is known that Africa may never achieve the same level of penetration as seen elsewhere, given that 40% of the continent’s population is under the age of 163. And so, the current decline in new phone sales can already be considered the signal of a mature market, showing signs of saturation. In a very short generation, Africans have gone from being mostly isolated – from each other, and the rest of the world – to being plugged in, all because of this very powerful device in their hands. The decline of phone sales, or the slowing down of subscriber growth numbers, should be cause for jubilation. The continent is now connected to the rest of the world, and Africans are talking to African across the span of mountains and deserts. Traditional pastoralists receive satellite data informing them of the best locations for forage for their livestock, and they can access insurance in times of famine and drought. Urban youth are trading bitcoins, while their mothers gather in social media groups to trade in goods and information. The entire operating environment of the African economic ecosystem has been transformed. Where just over ten years ago, Nokia’s greatest concern was how to design ever more affordable and robust mobile devices which could connect people across languages and literacy barriers, now we have a population that has a decade of experience in information technology, regardless of their education levels. Even the most remote or marginalized have seen the phone, and can access its use, through intermediaries and access points. Digital Africa has become a daily matter of fact rather than an unusual achievement for the development crowd. You can see it in the tenor of the research articles, and read the difference between the way the growth of the mobile ecosystem was covered in 20054 and the way its taken for granted now. 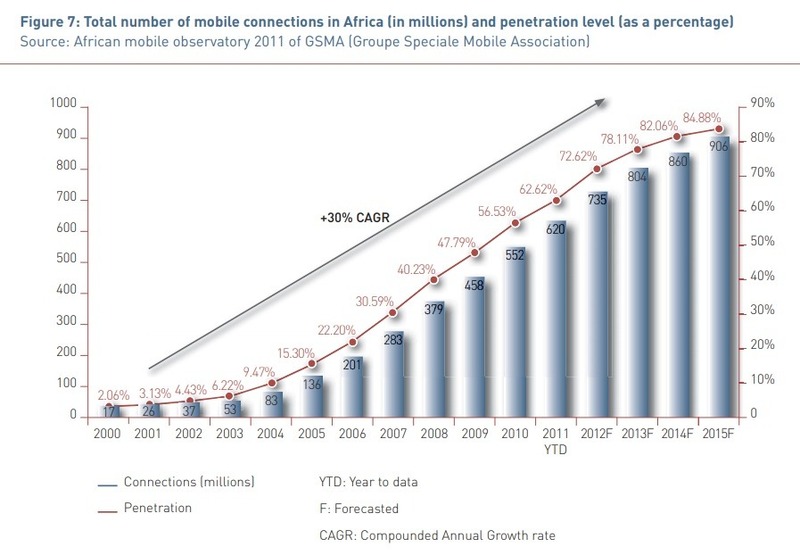 The end of an era – double digit growth of the African mobile market – signals the beginning of a whole new phase of development and opportunity – a connected continent, ready for commerce and communication with the world. Over the past decade, mobile phone ownership has gone from a novelty to commonplace. It has bridged the rural – urban divide, strengthening linkages, both social and commercial. In turn, innovation diffusion pathways have proliferated from the urban centers, and the adoption of new ideas and goods has accelerated, changing aspirations and expectations, particularly among the younger generation. The global African does not need to leave her childhood village in order to speak to the rest of the world or be recognized for her achievements. Social media is there to give him a voice, and a platform. It is this new reality that has not yet be recognized by the long established experts on Africa and its many varied challenges and unmet needs. The mindset, worldviews, and the consumer culture have changed far more rapidly than the now obsolete snapshot of the poverty stricken, marginalized African that media and researchers base their assumptions and their writing on. Policymakers and programme designers are even less in the know, and the gap between generations has never been wider. On the upside is a whole new playing ground – my friend and colleague Michael Kimani calls it the informal economy’s digital generation. Young people like himself, graduating with university degrees into a business landscape without the jobs to hire them, are turning to the platform made available by their smartphones to establish themselves and earn a living. In the four short years I’ve known Michael, I’ve seen him grown and evolve into the voice of African blockchain and cryptocurrency, soon to be an educator on the subject, and already organized as the Chairman of the Blockchain Association of Kenya. “What a great time to be alive,” Michael’s joyful voice still rings in my ear after our call last week. The digital future is all around him, a playground for him to build and make whatever his mind’s eye can envision. The end of the world for a caterpillar (the decline of sales & subscriptions) is the birth of a whole new one for a butterfly (the global digital African with a powerful computer in his hands). We need to throw a party and celebrate! 1 Smartphone sales, driven by more affordable Chinese brands, may continue to see growth, but as the IDC states, this growth may come from those transitioning from featurephones. In Hargeisa, the role of the informal economy during and after conflict has been vital to conflict prevention and peace-building. A recently released report by Cardiff University and Somaliland research partners on their work related to the role of urban informal economies in conflict zones offers us perspective from another angle. A little thin on insights and interpretation of their carefully gathered data, it nonetheless provides ample evidence of the value creation and economic contribution by informal sector actors in developing country contexts. In fact, I would say, it strengthens the argument for considering the informal economy as a commercial operating environment, to be taken seriously by policy makers and programme designers. And discovers that it was the informal economy’s acceptance by the local populace and government, characterized by extremely low levels of harassment or criminalization that was key to its ability to contribute as a trusted resource and asset during the rebuilding of society after the civil war. In most cities in sub-Saharan Africa, urban policy marginalises the urban informal economy (IE) and IE workers are often victimised and harassed (Lyons et al., 2012). This is not the case in Hargeisa, where informal economy workers interviewed reported very low levels of police harassment, with less than 7% of the 168 current informal economy workers interviewed stating they had experienced problems with local authority. Furthermore, there are high levels of trust and reciprocation amongst informal economy workers and in society generally, and a lack of effective municipal regulation which enables and encourages the growth of the informal economy. • Recognition: It is essential that Hargeisa’s IE workers are recognised as legitimate economic actors making significant contributions to the national and city economy. • National Informal Economy Policy: A cross-government National Informal Economy Policy should be developed, so that the key social and economic contribution of the IE is reflected in the five-year national economic development planning and other relevant government strategies. o Assess data needs for improving understanding of the IE (e.g. through labour force surveys). According to the Somaliland Sun, these recommendations are being wholeheartedly adopted by the local government. One not only looks forward to the developments of this groundbreaking initiative but hopes that this shift in perspective and recognition of value creation diffuses outwards with impacts on informal economies everywhere.